How to Make Sure You're Buying the Right Wheelchair? Looking to buy a wheelchair in Newcastle? A wheelchair can help you become mobile and independent, allowing you to lead a healthy and normal life. You’ll come across different types of wheelchairs, each boasting distinct features and functionalities. Hence, choosing an appropriate wheelchair could seem challenging, particularly if you don’t know what to look for. Here’s a look at some important aspects to consider when buying a wheelchair. A variety of wheelchairs are available in the market from standard and standing wheelchairs to reclining and bariatric. The standard or manual wheelchair is the most popular for it offers durable support and has a sturdy frame. Foldable, lightweight and transport wheelchairs are ideal for those who travel a lot and use different modes of transport. Standing wheelchairs are electrically powered and offer multiple sitting and standing positions. Reclining wheelchairs allow you to tilt back at various angles without sacrificing comfort or safety. Bariatric wheelchairs are ideal for obese or overweight people. Featuring extra-wide seats, these wheelchairs support weights of up to 550lbs. Carefully study the features of the various types of wheelchairs and consider your needs before choosing the right one. The next step is to choose a wheelchair of the right size. You need to make sure the seat width is ideal for you. Most wheelchairs have seats that are 20 inches, 18 inches or 16 inches wide. As a rule of thumb, choose a seat that leaves a gap of 2cm to 4cm on either side of your hips. Also, consider other aspects like seat depth and back height. 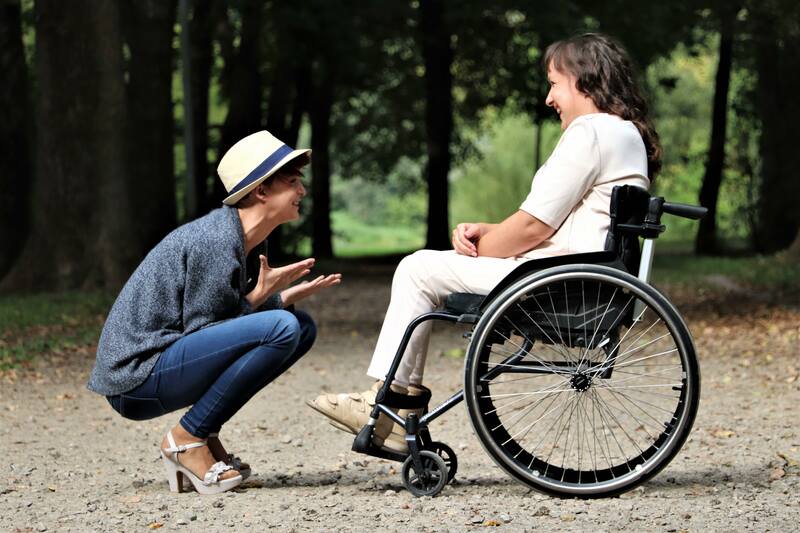 Most people do not take their immediate surroundings into consideration while they review different wheelchairs. For instance, if you spend the better part of your working day outdoors, then you might need a wheelchair that lets you sit comfortably. Additionally, make sure that the wheelchair is manoeuvrable and offers you the option of multiple seat widths. On the other hand, if you’re more of an indoors person, then we recommend a wheelchair that is compact and can be folded easily. Each type of wheelchair is designed to suit a specific purpose. As a matter of fact, you distinguish one type from another based on the specific condition the wheelchair serves. Nevertheless, to avoid confusion, almost all kinds of wheelchairs are grouped under two broad categories – manual and electric. Manual wheelchairs suit those who’re capable of handling or moving the equipment. If you need assistance with moving your wheelchairs, go for electric models. Mobility Direct North supplies various types of wheelchairs in Newcastle and the Northeast. Contact us today for more information.